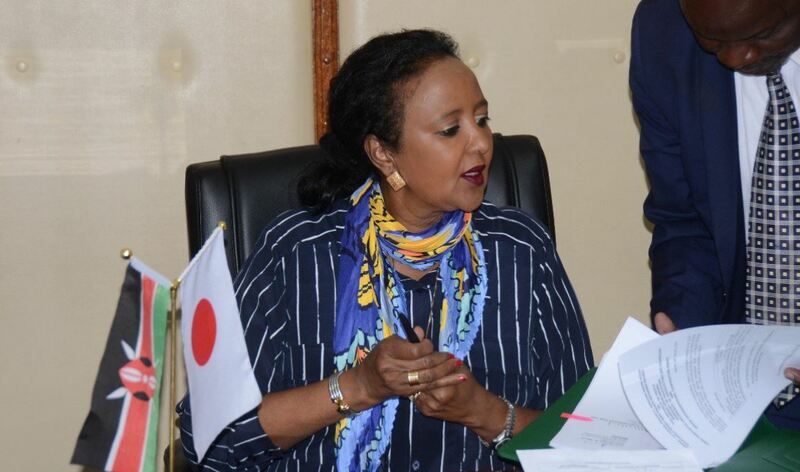 2019 application for revision of courses for University and College placement is officially open according to education CS Amina Mohamed. Below is the application procedure and deadline. According to CS Education Amina Mohamed, KUCCPS First Revision of Courses will begin on 6th January 2019 and end on Monday March 4, 2019 . 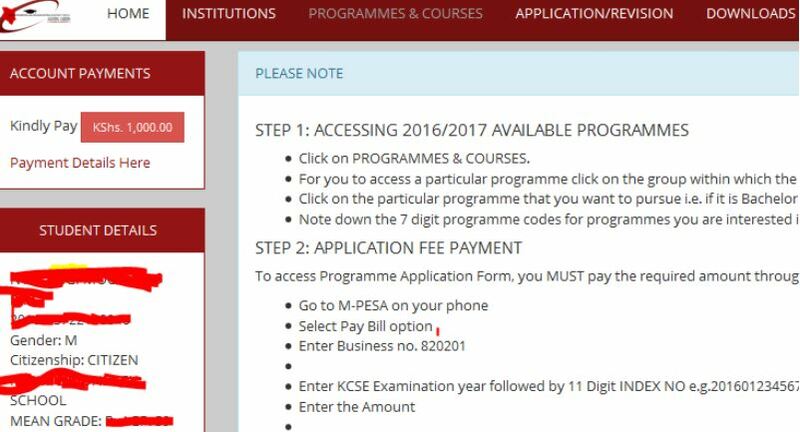 KCSE examination candidates who wish to revise their choices for degree, diploma and certificate courses for government sponsorship can proceed with the exercise through the kuccps portal provided below. Sometimes the revision portal has loading problems so you can check the next day for revision. Be aware that the deadline for first revision of courses is Monday March 4, 2019. Whether you selected your courses in secondary school or not you are supposed to do first revision of courses. After revision of courses the process will culminate into the final selection of students for admission to universities and Tvet institutions which will be concluded by April 2th 2019. Students will then be sent admission letters from the universities where they have been successfully admitted. Most Universities start admitting first year students from August on wards. NOTE: Each University has its own admission date after you have been placed. Selection to universities will cater only for the KCSE Candidates while placement to TVET institutions will take care of other previous years, from the year 2000 onwards. To ensure candidates join courses and institutions of their choice a 1 month window will be opened in May 2019 for the selected students to apply for inter-institutional transfers using the KUCCPS portal. If you are not able to apply online, you can visit any of the 28 institutions listed below near your county from 11th to 17th February 2019 for revision and help. NOTE: Even if you did not do your KCSE exams from any of the listed counties above you can visit one of the institutions for application and revision of courses. Visit any that is near your current place of residence. All KCSE 2018 candidates who got grade C+ and above qualify for admission to universities on government sponsorship. Those who scored C and C- will be selected for Diploma courses and Ds for TVET courses. PS. This article was brought to you by muthurwa.com, a platform where students or teachers can sell their class notes, photos, house plans, graphics e.t.c and make a living online while studying. I have made the choices but when I submit…I only see a blank page…I have already paid too…does it mean that my application hasn’t gone through?? why are there no cut ff points for 2018… am confused on how to revise my engineering courses… my average points is 69 and raw points for computer engineering is 42… should i risk writing it as my first choice in my sheet yet its only offered in JKUAT? please help! can I still revise on my courses now ? Will I still pay 1500 yet we paid 500 at school?? There is a student who selected the courses,during the just ended 2nd revision, but did not submit before deadline. What will happen to him? Am worried for him. HELLO! MY NAME IS WILLIAM ANTONY MUTUNGA. I DID MY KCSE LAST YEAR (2018). I DID THE FIRST REVISION. I RECEIVED INFORMATION ABOUT THE SECOND REVISION LATE AFTER THE DEADLINE HAD ELAPSED. KINDLY ADVICE ME ON THE WAY FORWARD. The only way out is to wait for second revision placement. After placement if there will be available university vacancies you will have a chance to apply.